The finding aid for the Early Texas Documents Collection, a collection that integrates 10 smaller artificial collections, is now available online. This collection chronicles the history of Texas from the Spanish Colonial Era through the turn of the 20th century. The collection contains documents related to the activities of several prominent Texans, including Stephen F. Austin and Sam Houston. Legal and land papers also document the activities of Anson Jones and Mirabeau Lamar, who both served as president of the Republic of Texas. 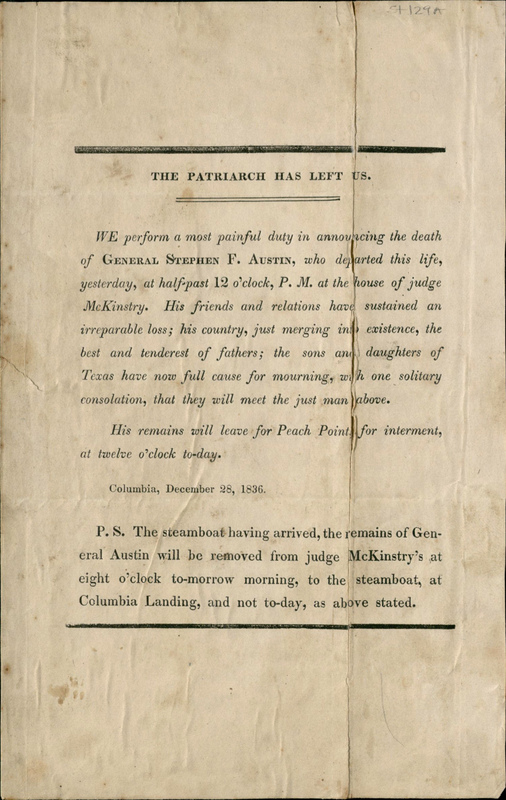 Coming soon, Special Collections will also be publishing a digital collection of the Early Texas Documents, so be sure to keep an eye out for that UH Digital Library project! Just in time for tomorrow’s Homecoming parade and football game, Special Collections’ new online exhibit, From American Football to ZZ Top: A History of Robertson Stadium, is now live! 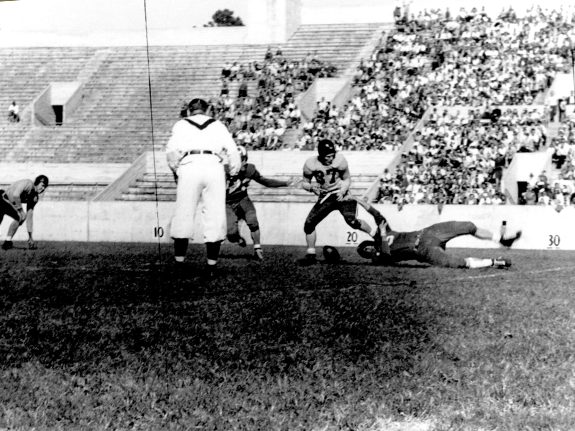 The Cougars played their first game at Robertson on Sept. 21, 1946, losing to Southwestern Louisiana (now the University of Louisiana at Lafayette) 13-7. This exhibit documents the history of Robertson Stadium from its opening in 1942 when it was known as Public School Stadium. Built by the Houston Independent School District, the stadium was purchased by the University of Houston in 1970. Included in the online exhibit are images of the stadium’s construction and various events. Robertson was the home of Cougar football from 1946-1950, and again starting in 1998. The Cougars are currently playing their last season in Robertson, which will be demolished to make way for a new stadium set to open in time for the 2014 season. In addition to UH football, Robertson has hosted a number of athletic and non-athletic events. The online exhibit includes photographs of Olympic gold medalist and former Cougar Carl Lewis and the crowd at a Crosby, Stills, Nash & Young concert, as well as images related to other musical acts that have performed at Robertson. Take a look at the exhibit to get a glimpse of Robertson’s history before the demolition crews arrive!